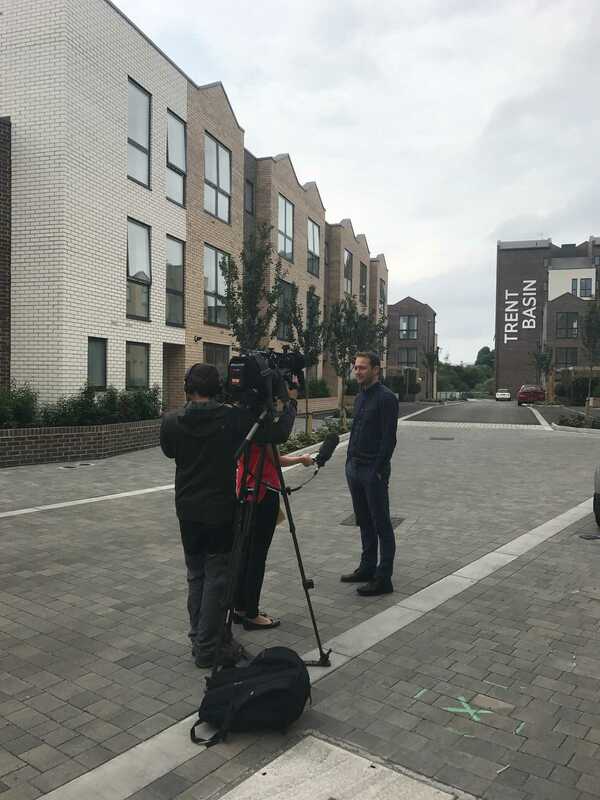 We were very happy to host filming for BBC’s East Midlands Today at Trent Basin yesterday, for a piece about PwC’s latest report on the East Midlands Housing market. The report showed that the East Midlands is leading the way in the UK regions for fastest growing house prices, reflecting the strength of the region’s economy. According to the report, Nottingham performs very well across a range of economic and quality life measures including jobs, health, house price to earnings, the number of company start-ups and income distribution. And we’ve certainly seen an increased growth in buyer confidence and the growing popularity of the region reflected in the speed of take-up of the new homes we’ve built at Trent Basin – our new waterside community on the banks of the River Trent, just a 10 minute cycle ride from the city centre but overlooking the stunning green scenery of the waterway and The Hook nature reserve. 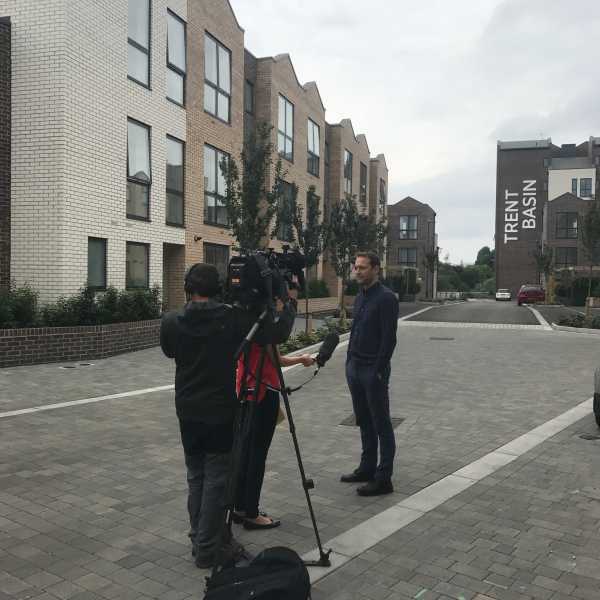 Trent Basin has appealed to a broad range of buyers, but particularly first-time buyers who are using the Help to Buy initiative. They have told us they were attracted by the design-led feel and look of the community and the refreshing approach we take to development, which is centered around our commitment to sustainability. The take-up of properties has shown that our ethos is popular and shared by a growing number of home buyers – so much so that we only have two plots left in phase one at Trent Basin. In this context of confidence in the housing market, PwC’s report makes for an uplifting read. It sheds light on the forthcoming property landscape in the East Midlands, predicting that we will lead the regional economic growth rankings outside London and the South East this year, expanding by around 1.5%. It also predicts we are projected to see house price growth of 4.7% in 2017, above the UK average of 3.7%. This is encouraging news, as it reflects how home buyers from across the country are getting switched on to all the great benefits of the East Midlands – our central location, our excellent transport links and, particularly for Nottingham, a world class tram network and a hot spot for job growth. It was interesting to discuss the housing landscape with Paul Norbury, office senior partner for PwC in the East Midlands, particularly against a backdrop of a need for between 225,000 and 275,000 new homes each year, and to hear his summary of the report firsthand. 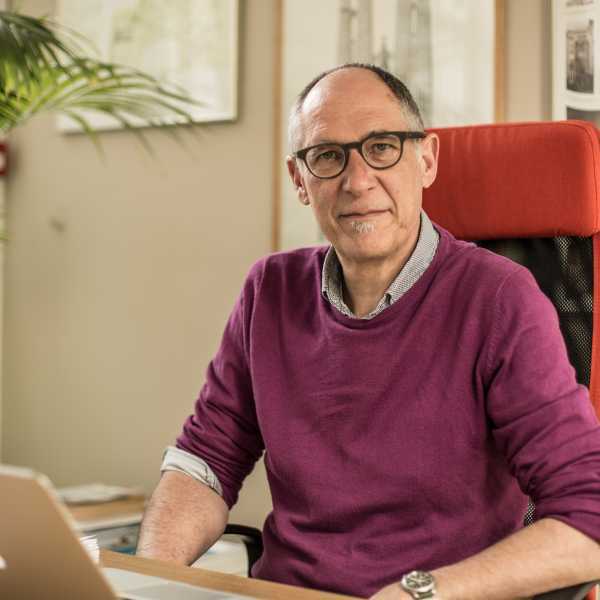 He said: “The buoyant housing market reflects the strength of the East Midlands economy as a key region in the UK. As we know from our latest Good Growth for Cities Index, Derby, Leicester and Nottingham are performing well across a broad range of economic and quality of life measures.